The topic of sustainability and sustainable development may seem new and modern because of the attention it is getting in the recent years, but it is not new. Environmental books like Fairfield Osborn´s “Our Plundered Planet” addressing the negative human impact on nature have been published already in 1948. 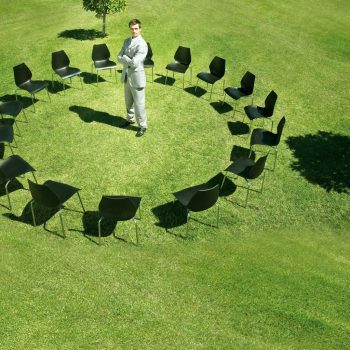 In the political and non-profit circles sustainability and its importance has been discussed now for decades. Projects like UNEP – The United Nations Environmental Programme founded in 1972, Agenda 21 and the Rio Declaration are just a few examples of the effort of these communities to shift the focus of actions towards a sustainable development and to integrate environmental thinking into all aspects of everyday life: political, social and economic. 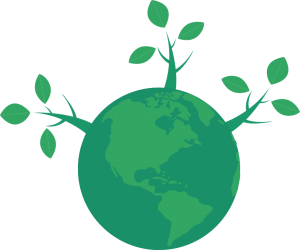 What can be identified as a new trend in the recent years, is the constantly growing attention sustainability has been receiving in the economic circles. With a bit of delay the economic players have also developed conscience, interest and understanding for the sustainability issues. As a result, terms such as “social enterprise” and “social entrepreneurship” have emerged, meaning people and enterprises with for-profit practices pursue social goals. Nowadays, companies are facing well educated consumers with a better understanding and free access to information. 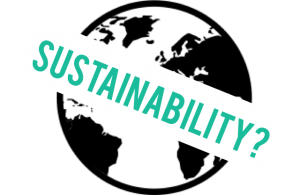 As a result, personal accountability and sophistication grows and consumers start to acknowledge their own role in addressing sustainability issues. The consumer’s choices are increasingly seen as life choices. What we buy, becomes an expression of what we support. As a result, up to 57% of the consumers would choose purchasing a product of lesser quality or even efficacy if it is more socially or environmentally responsible. Considering the described situation, a lot of companies are facing serious image problems after evidence has been provided that their production and supply chain involves child labour and human rights violations. Apple, Samsung, Sony, H&M, Zara, GAP are just a few examples from the recent years. The public eye of the media and the independent organizations are scrutinising the activities of major global brands and environmental issues are being addressed daily now. The society expects a change in the business direction towards more sustainable markets. It is the companies’ choice to try to resist or to embrace this trend. However, as evolution theory thought is, only the adaptive ones survive. How to combine Sustainability with Business Goals? Adjusting towards the new consumer demands and market developments, businesses are in the search for innovative ways to implement sustainable practices in their operations. However, economic and financial prosperity remain the highest goal for every company.